Home / MOVIE REVIEWS / Movie Review: “Dawn of the Planet of the Apes" a monumental sequel! 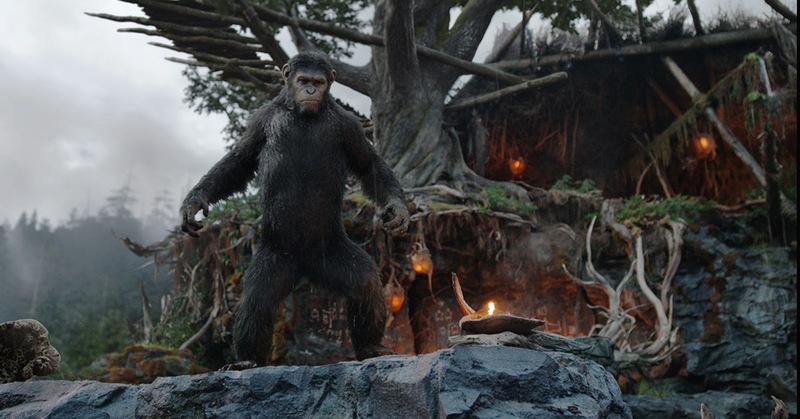 Movie Review: “Dawn of the Planet of the Apes" a monumental sequel! “Dawn of the Planet of the Apes" is the sequel to the successful "Rise of the Planet of the Apes" (2011) based from the novel "Planet of the Apes" by Pierre Boulle. A masterpiece in its own right, “Dawn of the Planet of the Apes" has perfectly captured the enigmatic aura of the first film and carefully added adrenaline pumping unexpected action sequences in the new film. The impressive inter-laying of natural locations and impeccable 3D CGI surely would make you speechless. The exemplary musical score has added haunting and breathtaking rush to every scene. The unforeseen turn of events just makes this film beyond extraordinary. One usual problems of sequels in films is that they couldn't surpass the first one. “Dawn of the Planet of the Apes" is one of the splendid example of a sequel exceeding the expectations of audiences. “Dawn of the Planet of the Apes" skillfully developed the characters of the new cast while strengthening the integrity of the apes that were present in the first film. The production design and computer graphics of this film is highly-commendable. The post apocalyptic world and the highly naturalistic interactions with CG-animals was spotless. “Dawn of the Planet of the Apes" is an intelligent integration of an impressive cinematography, breathtaking visual effects and production design, imposing plot, and distinctive performance of the whole cast. truly a marvel to watch in 3D, “Dawn of the Planet of the Apes" exceeded all my expectations.